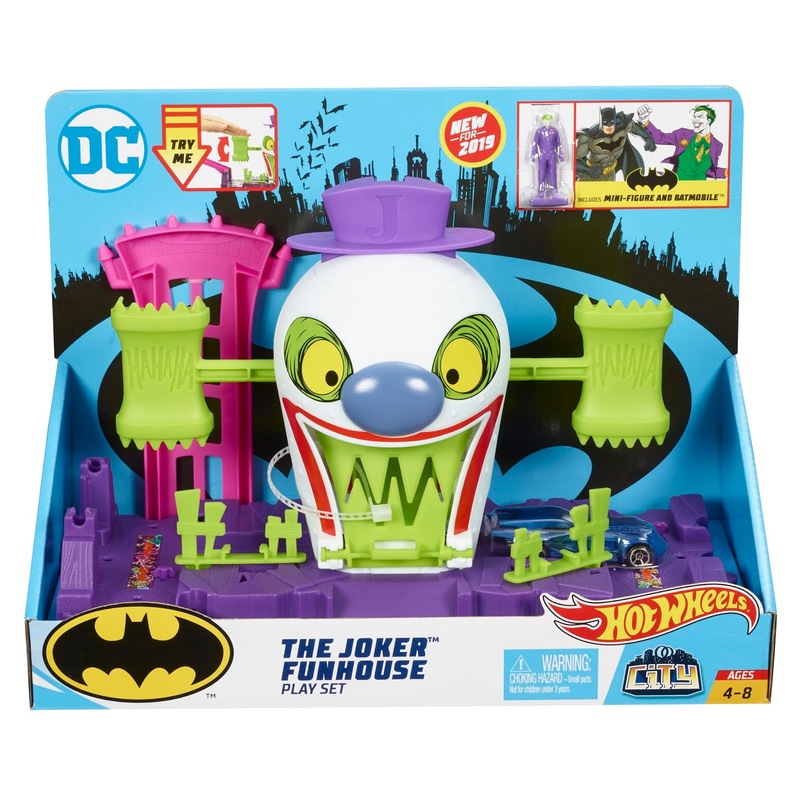 Walmart has the Hot Wheels DC Comics The Joker Fun House on sale for just $10.99, down from $24.99. The outskirts of Hot Wheels City have been infiltrated by villains stirring up trouble! 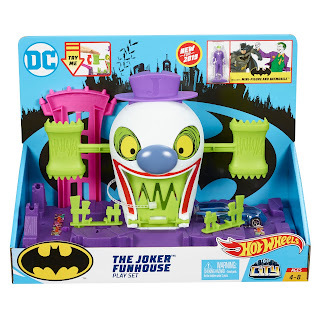 The Joker has taken over the amusement park and has re-named it The Joker Funhouse. 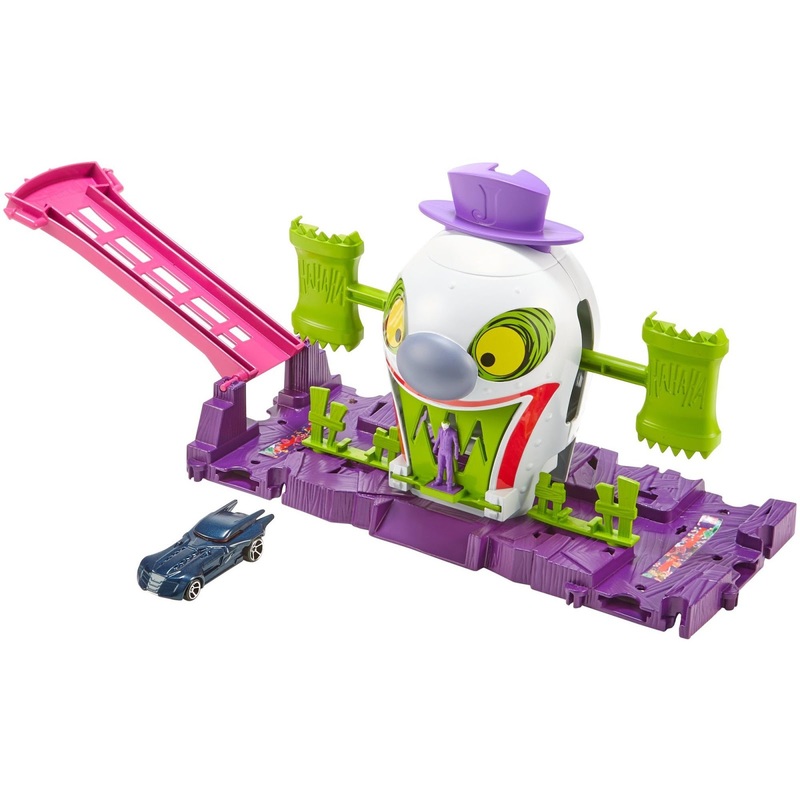 Drive up the ramp on the side of the Funhouse and be careful to avoid the swinging mallets and free trapped friends and defeat The Joker. 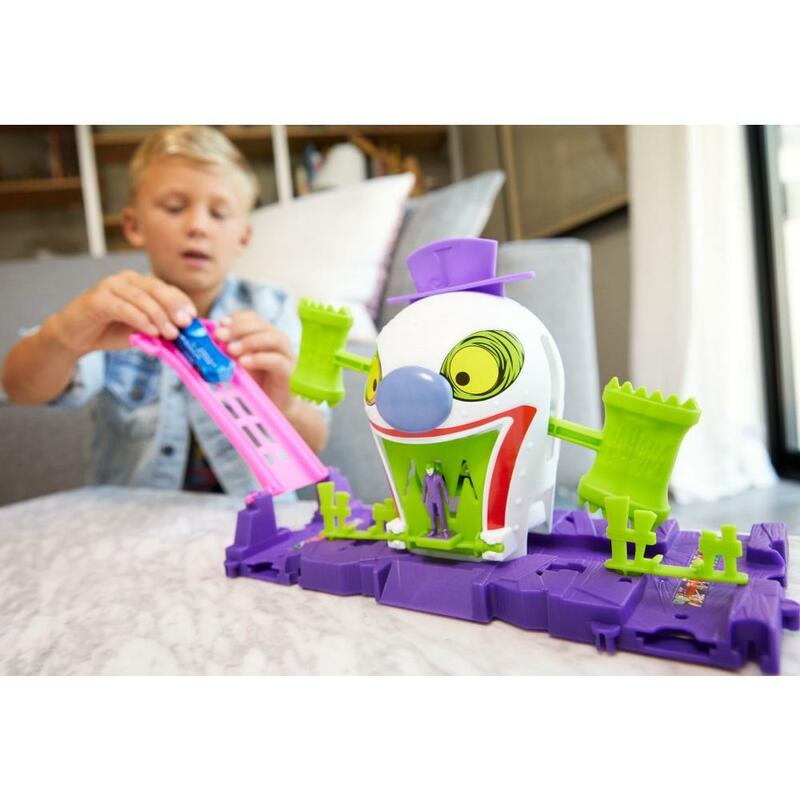 Use the elevated ramp and the Batmobile in the Killer Croc Sewer Escape set to slide down the sewer at top speed to get past the enormous crocodile and save the city.